With the first line established envision the next line no more than 1.5 inches below it (further away from the spine) . 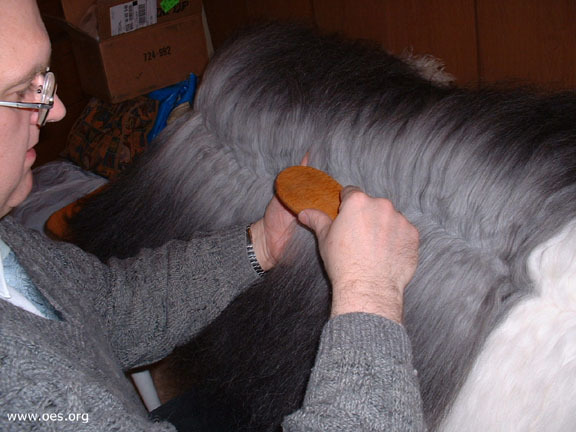 For your first grooming sessions use a finger to manually select a portion, perhaps 4 inches, of the new line and lay the ungroomed hair back against the grain and then brush it out as you did the first line. Section by section the second line will form and replace the first line. 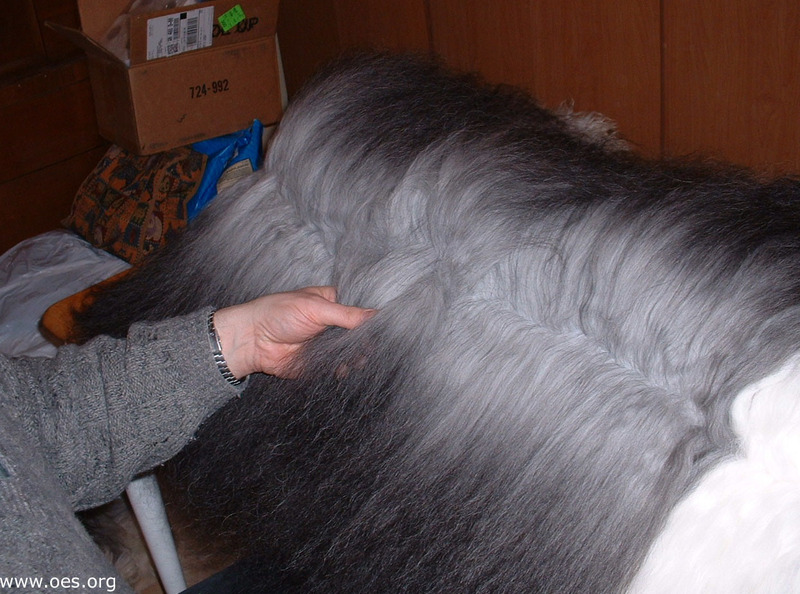 When it is fully developed the "parting" is a bit further down the dog's body and will extend further into the neckline and somewhat beyond the hips. 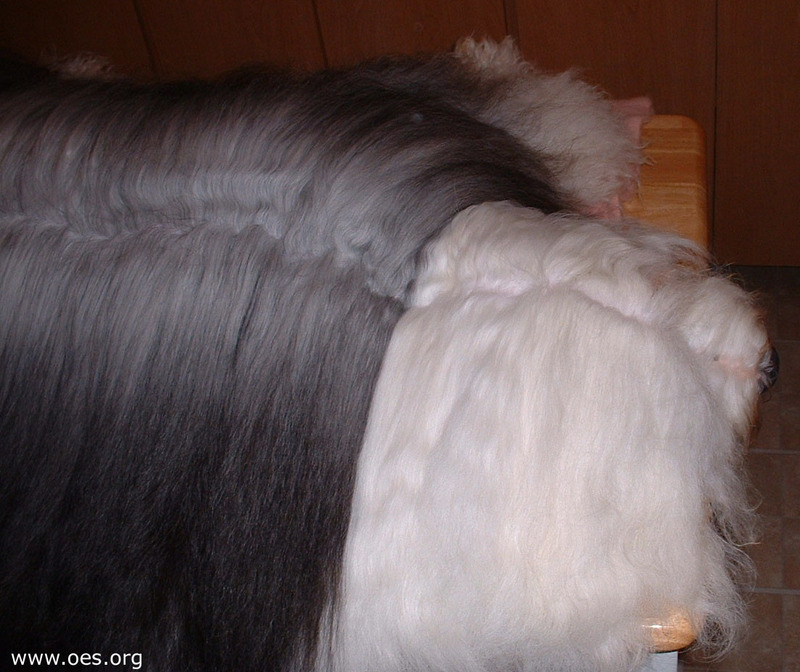 These photos show how to "manually" bring down some of the bulk hair to progress a line about 4 inches at a time. Select a "thin" portion as long as your fingers will allow and "fold" the hair back to be groomed. You need to repeat this process untill the entire torso has been brushed and is laying towards the spine (against the grain). It is basically a simple but repetitive and time consuming routine. 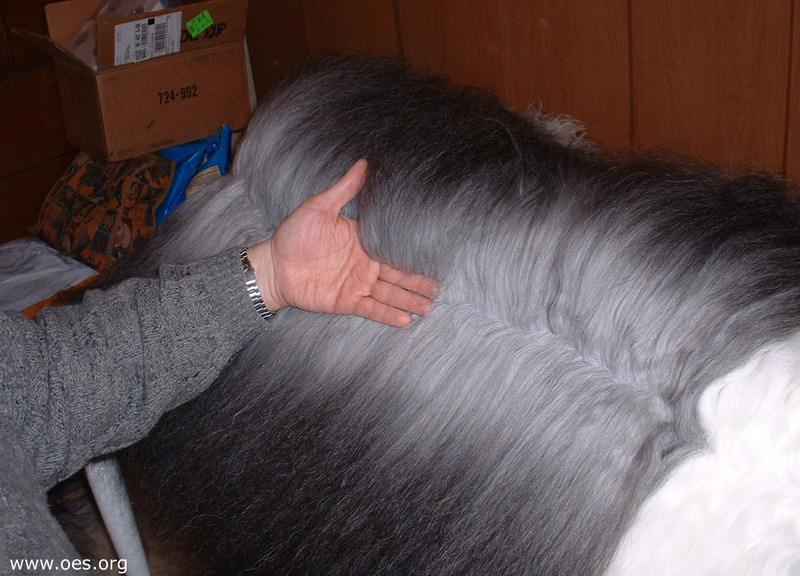 The closer each line is to the previous one the more thorough will be your grooming. If you can decrease the increment between lines to 3/4 of an inch or even 1/2 inch the better will be the results.